ACS specialises in the supply and repair cycle management of rotable flying controls and structural components to Airlines, Air Transport Operators, aircraft spare parts traders and MRO’s throughout the world. Operating from our base, in close proximity to Stansted Airport, we are well placed to supply and service all locations within the UK and Europe. We pride ourselves in retaining our highly trained, talented and enthusiastic people in order to provide the best possible services to our customers. We invest in our employees for their personal development in order to ensure their skills are maintained to the highest standards. 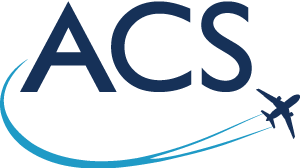 ACS are always looking for suitable candidates to join our growing sales team as our business is expanding rapidly. The ideal applicant will have experience of the aviation industry, preferably with a working knowledge of aircraft components although training will be provided. Our sister company ACS Aviation Industries operates an approved EASA 145 repair facility from our Essex location and welcomes applications from qualified and experienced engineers.